Yet another attendance record was set when the second of this year’s Greetham Gatherings took place at the community centre in the Rutland village on Thursday, June 21. 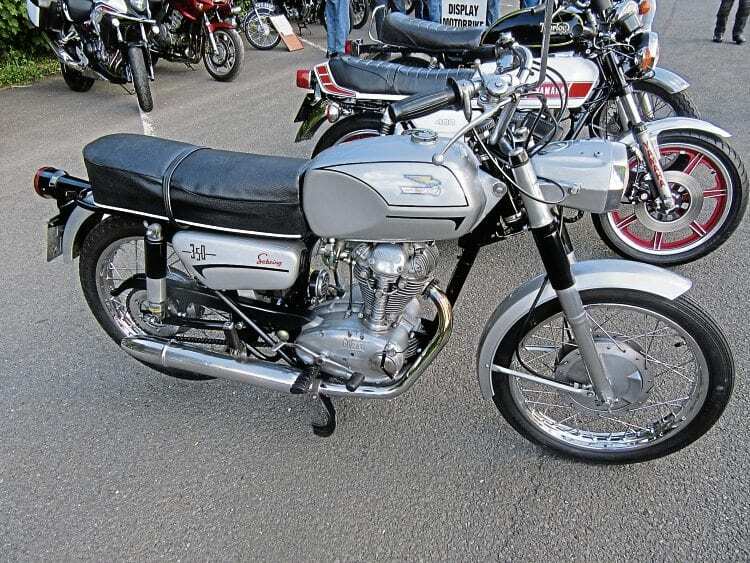 You don’t see many 350cc Ducati Sebrings these days, but this well-restored example was seen at Greetham. The 150 motorcycles and 400 cars that attended included an estimated 50 classic bikes and 200 classic cars, and more than 800 people turned out on a warm and sunny evening. with or without a classic vehicle.